As I showed you our sprouts that came last Friday, I want to tell you a little about sprouting. 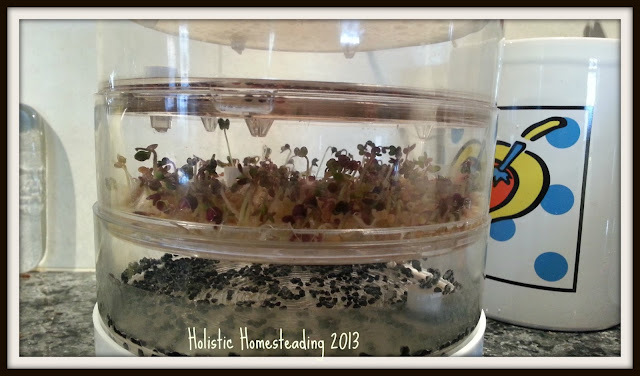 I am going to break the info into 2-3 sections and am going to talk about the various containers we have available to use for sprouting today, and next week I will talk about what the various sprouts are good for and how long they take to sprout etc.. 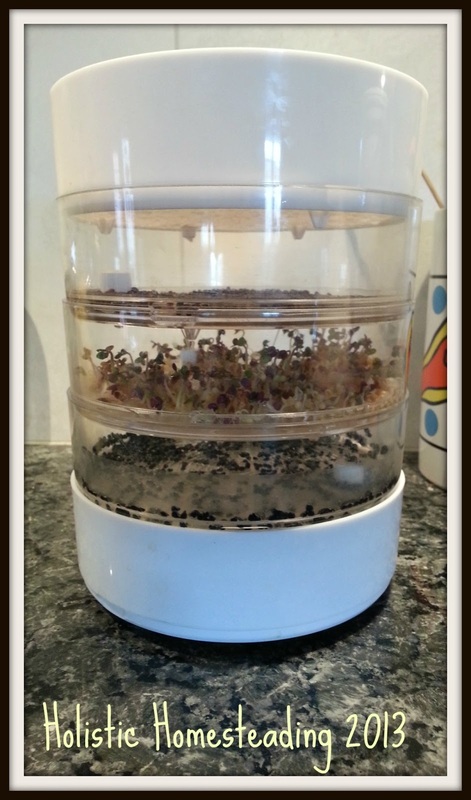 If you are a follower of my Blog (Marigolds' Loft) you will remember me posting about sprouting quite a while back. I know that these days sprouting is something everyone has at least heard of, and I am guessing that most of you have eaten sprouts either knowingly or not. If you are a big Chinese food fan, Mung Bean Sprouts are included in most dishes, from stir-frys to spring rolls! Over the years we have had a large selection of sprouters, which we have used. We started sprouting the first time roughly 14 years ago, and this tradition is still going strong. I can't imagine not being able to use sprouts in our salads, on our sandwiches, or just to grab a handful as a snack on the way through the kitchen. It was a container holding just over 3 litres, and we could really only do one sort of sprout in there. We found it a little too big for our needs, but I can imagine for folks who have a large family, or want to sprout a large amount of any one sprout, this could be quite a good container for them. Be advised though, it does take up some space, and doesn't really balance on it's head to empty the water. You can of course use this idea with any kind of container. You could use an ordinary pickle jar, with a piece of gauze to cover the top for a small amount of sprouts. This works really well, and if space is an issue is quite a good option. Alfred Vogel also created some nifty sprouters like the one on the right in the above photo. 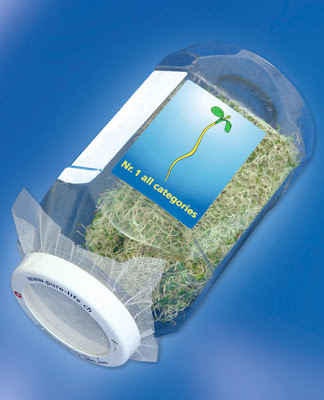 I love this version of the bottle sprouter as it comes with its' own stand so that the excess water has the opportunity to run off properly and the seeds get aerated correctly. Next we come to the layered sprouters. 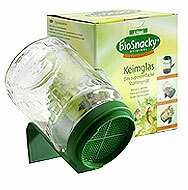 This is the BioSnacky I have in the photo above. 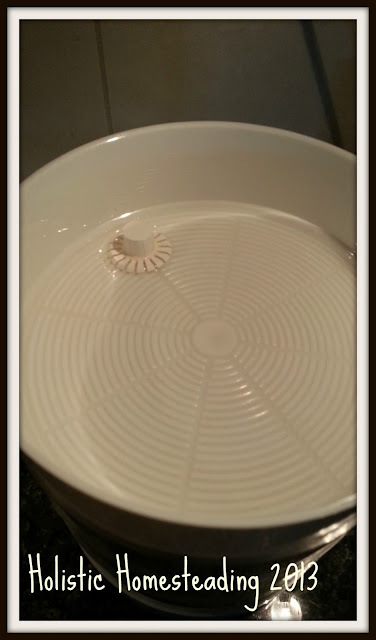 I really appreciate this system as it allows us to grow more that one sort of sprout at a time, they are well aerated and it has a sprinkler lid, so if you pour the water through the lid, it gently sprinkles over the top layer of seeds and continues to trickle down through the other layers. It has a catch bowl at the bottom, which is very convenient. 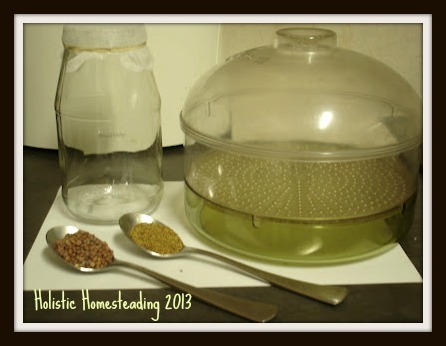 I used my BioSnacky for many years, and at the moment I have it tucked away in my cellar, as we came across another sprouter that is even cooler! 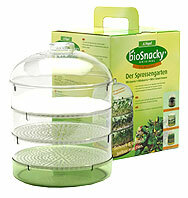 It is a Bio-Set Sprouter and the unique feature about this sprouter is that, unlike the BioSnacky which has pretty large holes in each tray (subsequently if you are sprouting seeds like alfalfa, you will need to add a fleece sheet to the tray to avoid the seeds being washed away), the Bio-Set has only one opening per layer, with a covering to avoid seeds blocking the water flow. In the Bio-Set, we can sprout any seeds, any size, and the system also allows the seeds enough time to get sufficiently moistened as we fill up the cover tray with water and it slowly filters through to the next level. Once that level has reached above the water vent, it in turn will start to flow through to the next level and so on. The Bio-Set is also a little smaller than the Bio-Snacky, and it holds a tablespoon of seeds comfortably in each layer, making it the ideal sprouter for our household. 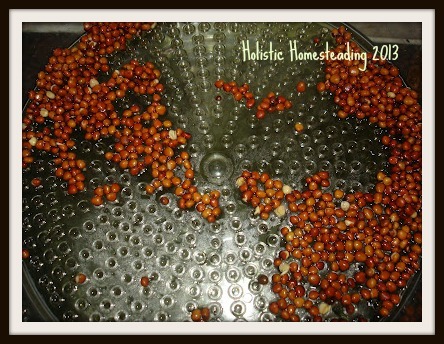 I hope this post has got you a little more interested in sprouting?! Next week I will discuss the how to go about starting to sprout. Thanks for linking up with my NO RULES Weekend Blog Party and have a great weekend! I didn't realize either. Following! This is a very new Blog (Only a week old). Oh my gosh - I never realised there were special sprouter containers! I've always just used a jar! How cool!